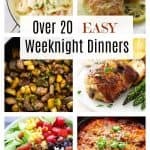 This is one of my favorite salad recipes. 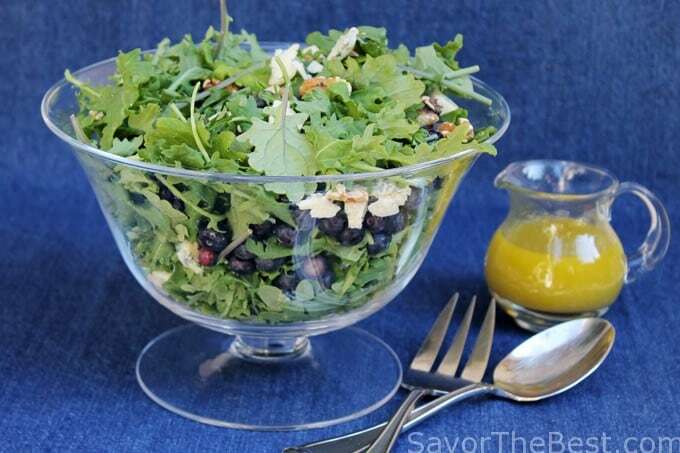 Baby kale salad with blueberries and blue cheese. I also added some roasted walnuts and tossed it all together with a tangy lemon vinaigrette dressing. You are going to love this baby kale salad! Kale is so nutritious and healthy, I planted several varieties of it in my garden this year and have been enjoying the different tastes. Baby kale has a different flavor and texture than when fully mature. Just munching baby kale by itself it is tender, crisp and has a nutty flavor and no bitterness. Also, it is a sturdy green that holds up well in salads. 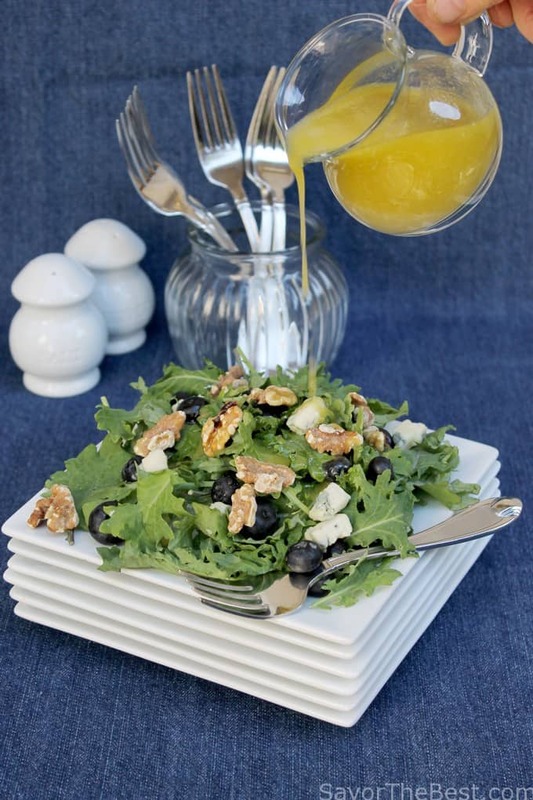 This lemon vinaigrette is especially delicious paired with the blue cheese and blueberries. 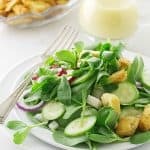 This is a very versatile salad with the different fruits in season. Raspberries are delicious and during the holidays I use dried cranberries but the fresh blueberries are my all-time favorite here. 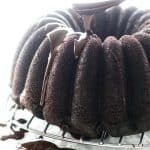 It is hard to beat blueberries as they do not go soft and soggy as do some fresh fruits. Also, they just lend a great flavor to the crisp baby kale and creamy blue cheese with the lemon vinaigrette dressing. 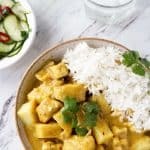 This recipe would be good to keep in your Yummly recipe box. 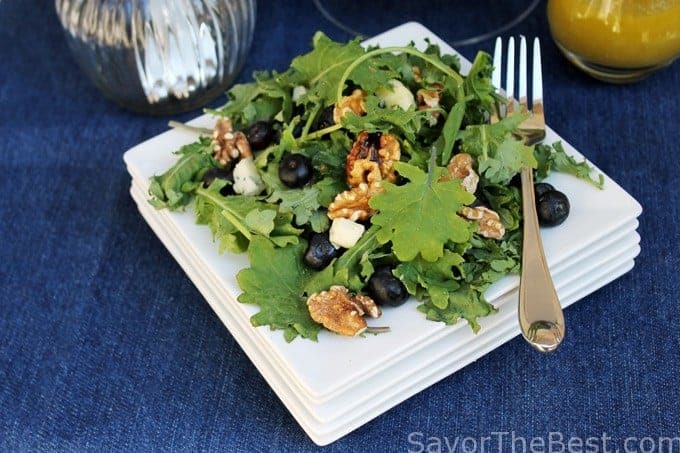 Baby kale salad with blueberries and blue cheese, walnuts and tossed together with a tangy lemon vinaigrette dressing. Whisk together the lemon juice, mustard honey and salt. Continue whisking while adding the olive oil in a stream, blending well. 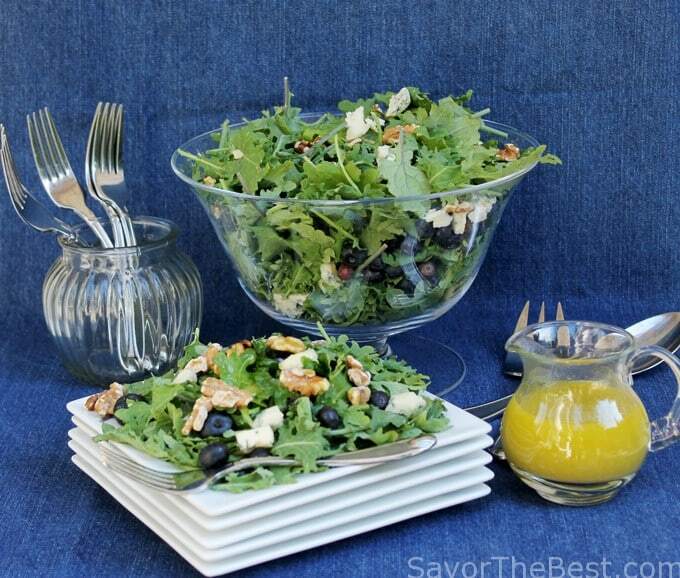 Add the kale to a wide, shallow salad bowl, top the greens with the blue cheese, blueberries and walnuts. 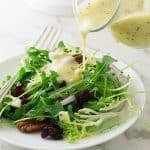 Drizzle one-third of the lemon vinaigrette over the salad and toss well. Reserve the remaining vinaigrette for a later use. 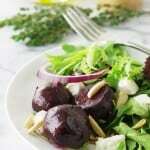 Alternatively, divide the baby kale onto four salad plate, distribute the blue cheese, blueberries and walnuts evenly between the plate and drizzle 1 tablespoon of the vinaigrette over the top of each salad. 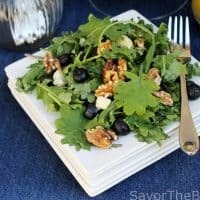 Love blueberries in salads! They add so much, don’t they? 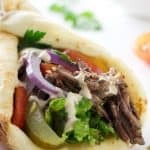 And they pair well with cheese (blue cheese is excellent, as is goat). Haven’t tried them with kale, though. But I will! Thanks so much for this. Thanks John, and you are so right, goat cheese does pair well with blueberries too.